We don't do empty promises, we pride ourselves on actions. The quality of your stay at our Budget Motel is very important to us. Businesstrips, relaxing holidays or active holidays, no matter what brings you to us, we want you to have a pleasant stay in a friendly environment and feel at home with us. We try to achieve the highest standard and service in our motel and work hard to give our best. Your well being is of the utmost importance to us! Nicole beeler has been the director of our motel from day one. She relys on a motivated and long-lasting team, every staff member loves their job and it is important for them, that they are friendly and well educated. We make it our daily goal, that all our guests are happy and they don't miss out on anything. We are looking forward to having you stay at our motel. 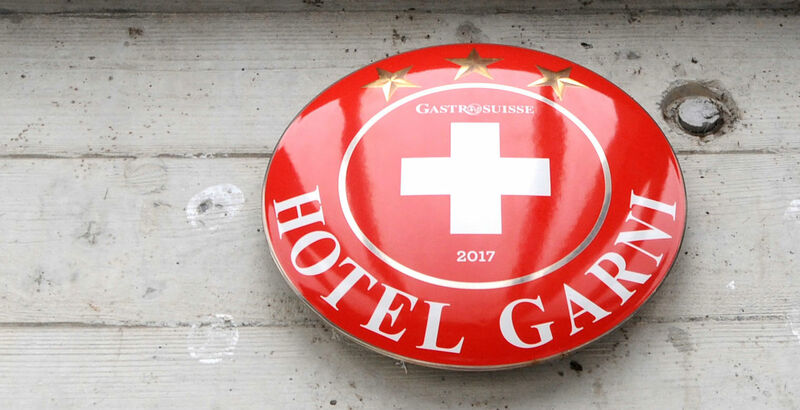 Our motel has a 3-star-award from hotelleriesuisse - Swiss Hotel Association and meets a good middle class hotel standard. Convince yourself and stay with us at the Budget Motel in Dällikon.